Since we're doing this whole giveaway thing, we figured we ought to tell you a little bit more about the place! To me, there are two different kinds of good food: 1) food that tastes good while you are eating it, and 2) food that makes you feel good. Mountain West Burrito satisfies both of these things, which is what makes it so wonderful. I may be cheesy and lame, but sometimes I'm all about the organic/natural thing. It just makes you feel good to know that the food you are eating is free of harmful chemicals and was raised humanely (insert joke about raising vegetables humanely). Mountain West Burrito uses almost all locally grown, organic vegetables (avocados have to be shipped from the Glenn Annie Organics farm in Santa Barbara, CA since it is way too cold here...), organic and pasture raised chicken breast, natural angus steak, and pork from Utah family farms. You don't have to wonder where your food has been and what's it's gone through -- it's posted right there for you on their take-out menu. And not only is it good for the earth, but it tastes dang good as well. 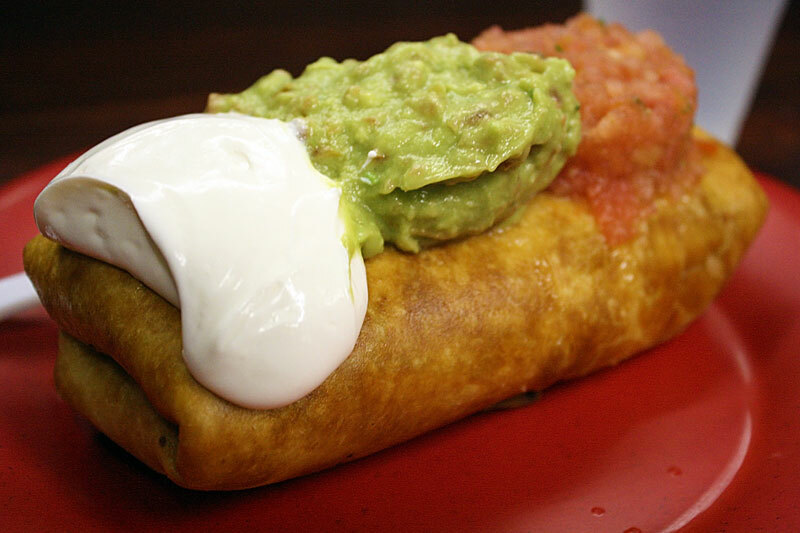 Let me ask you -- when was the last time that you DIDN'T feel guilty about eating a chimichanga? Never, right? (Unless you're a dude of course...) Well for me, it was last Friday night. This may sound like the most hypocritical meal, but I can't get enough of their roasted vegetable chimichanga. Healthiness, deep fat fried...just how I like it. Their vegetables taste fresh and are roasted to perfection, and just look at the perfectly crispy golden tortilla. Words cannot express. 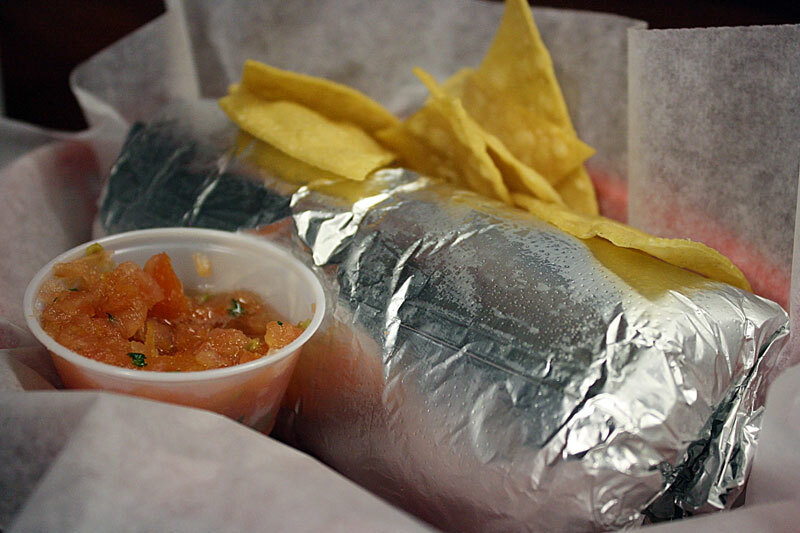 Owen's much more of a burrito kind of guy, and you gotta admit, food always tastes better when it's wrapped in foil. Okay, not always, but in this case, it's amazing. Also, their tortilla chips that come on the side are top notch -- we watched them getting fried up right in front of us, so they are served fresh, crispy, and warm, and the pico is pretty good too. If you like it spicy, you have to try their green hot sauce. We like to drizzle it all over our food, but warning, it's pretty darn hot! 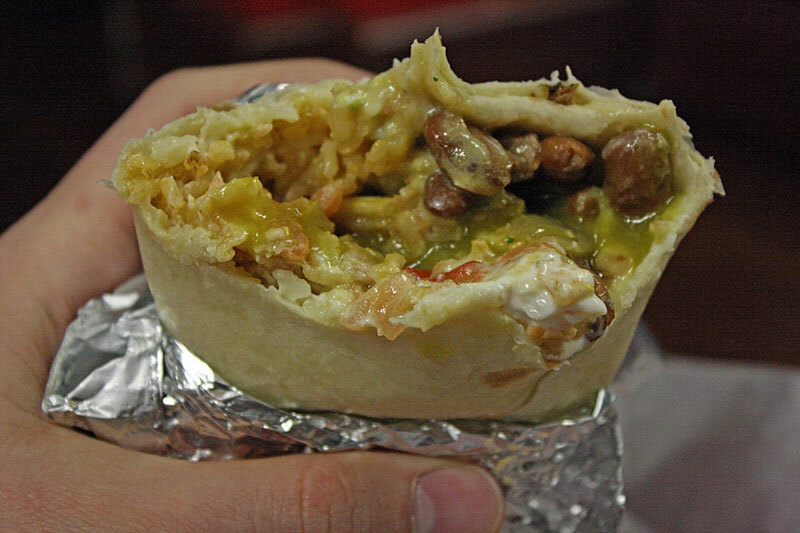 It looks a little messy and weird on the inside (note to self: half-eaten burritos are not the most photogenic), but trust us, this is worth the trip. The carnitas are perfectly seasoned and juicy, the chicken tastes different, fresher, like it was a happier chicken in its life. Okay maybe that's an exaggeration, but it is pretty scrumptious. We were a little disappointed with the steak burrito when we tried it - though its natural and angus and everything, we felt like it was lacking in flavor and not very tender. Stick with the chicken, carnitas, or roasted vegetable. It also is lame that you have to pay extra for the sour cream and guacamole, but don't go without it! The guac is fresh and buttery delicious, and the sour cream is needed to balance out all the flavors. 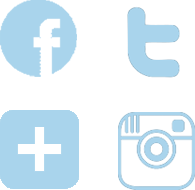 What You Should Do: Enter our giveaway, and go there for free! But even if you don't win, you should still go right now. 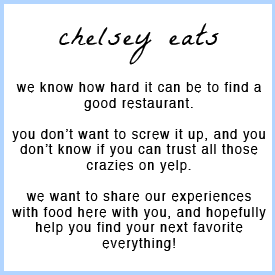 The only thing we are worried about is that the restaurant has recently changed owners -- the friendly founder Joe has decided to "travel slowly through Mexico," and the Heirloom Restaurant Group (they run Pizzeria 712 and the Communal) has purchased it (read about it here). They say they are striving to maintain the same ideals and goals as the original owner, so we'll let you know if anything changes! Don't miss out on this fresh, locally supportive, gratifying Mexican goodness. I love Mountain West Burrito! Such great quality food and so yummy. I definitely agree that it is both yummy and fairly healthy.